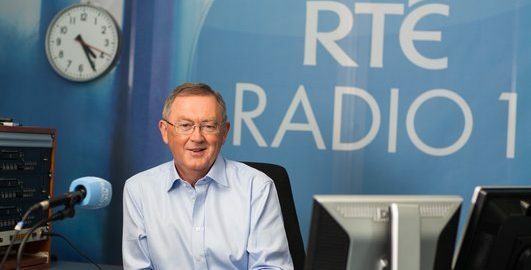 Hempture 14/12/16 – RTE Radio 1 on the subject of CBD in Ireland. 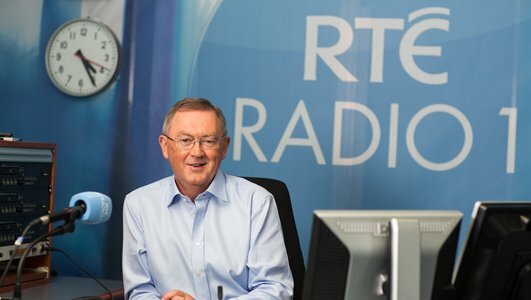 Today With Sean O Rourke Wednesday 14 December 2016 the discuss CBD oil in Ireland. At Hempture it’s not just our organic CBD extract that make us special, it’s the people who bring it to the masses. They are carefully chosen for their approach in this area of expertise, enthusiasm and belief in this true wonder of nature – Hemp. The extracts produced by Hempture are grown in Ireland & the EU without the use of any pesticides and herbicides. Our strict organic production allows our CBD oil to be of the highest quality ON EARTH and that is guaranteed fact. 2ml sample vial of pure 3% CBD now in Ireland for the 1st time in history. 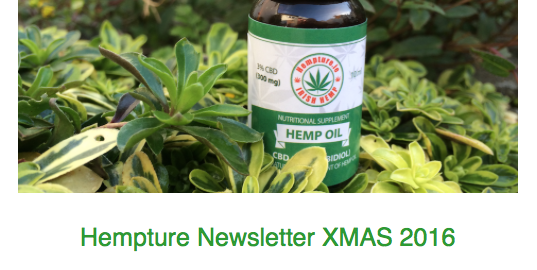 Share the gift of CBD this xmas! FULL DETAILS HERE. Maybe you want a little extra? 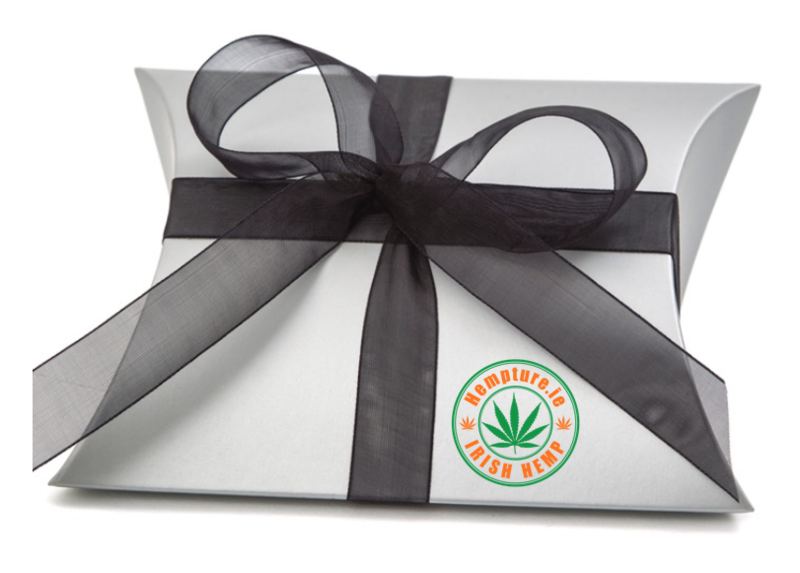 See our Limited Edition Hempture Xmas gift set here. Each bottle contains 60mg of Organic Hempture CBD extract. NOW ON SALE IN IRELAND. We have been working hard over the last few months to bring these much requested CBD suppositories to the Irish market. 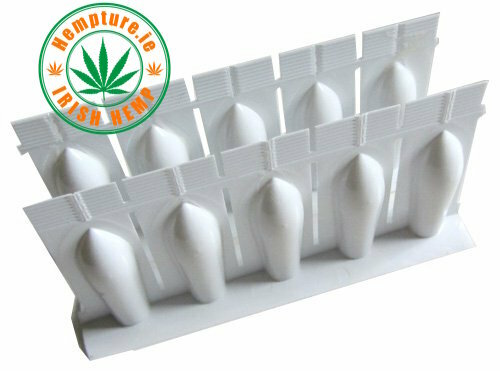 Hempture CBD Suppositories are an excellent way to obtain the benefits of hemp CBD, thanks to higher bioavailability and absorption rates when compared to other methods of hemp CBD administration. The extracts produced by Hempture are grown in Ireland & the EU without the use of any pesticides and herbicides. Our strict organic production allows our CBD oil to be of the highest quality and that is guaranteed fact. 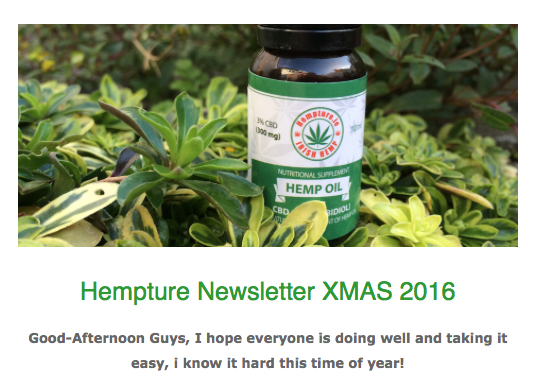 Hempture CBD – The Limited Edition Xmas CBD Gift Set & More!! Guys, its that time of year again and its the first official Xmas that our team have been fortunate enough to be able to bring you Hempture Organic CBD! Handmade with love in Kerry, Ireland. Precision carved from natural Irish oak.. you will feel every moment of care and craftsmanship that went into producing this quality keyring! 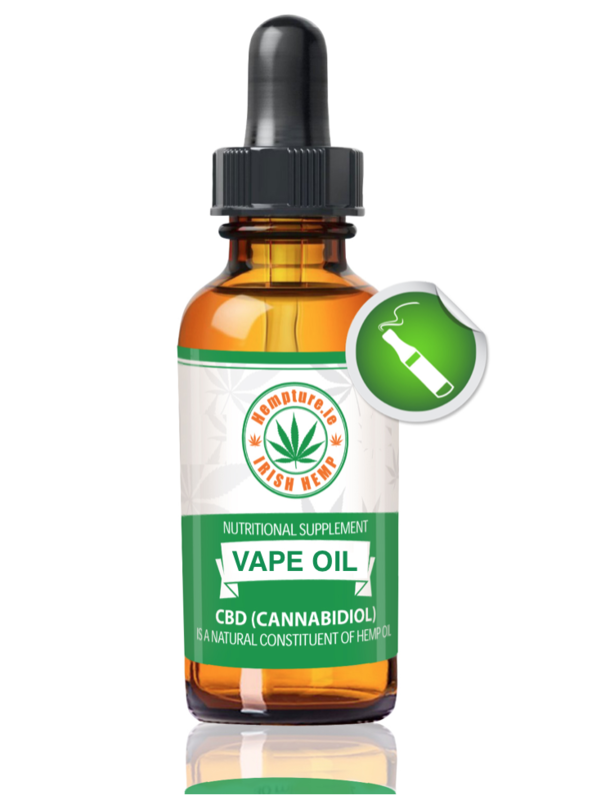 We are proud to announce Hempture Organic Hemp CBD vape oil. 6/12/16 – We are proud to announce Hempture Organic Hemp CBD vape oil. NOW IN IRELAND FOR THE FIRST TIME IN IRISH HISTORY. Hempture Vape E liquids are made using organically EU grown hemp with pure CBD isolate. We use only 100% natural ingredients in the manufacturing of all Hempture products. 100% ORGANIC CBD. 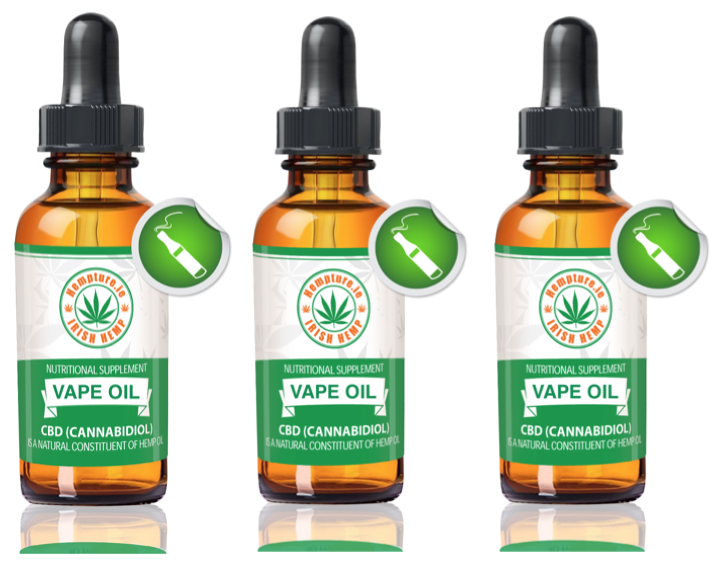 We know its hard to find an authentic tasting CBD vape oil. That’s because most products on the market are made with nasty synthetic flavours! You will be glad to know that all Hempture Vape oils contain only 4 natural ingredients which are; PG, VG, natural hemp flavour and organic CBD isolate. WE DONT USE ANY SYNTHETIC INGREDIENTS WHATSOEVER. Hempture CBD crystal isolate, this is EXTREMELY PURE. It is more than 99% pure. THC is non-detectable. When you smell it you will not feel any organic solvents since our lab uses wiped film distillation. Hempture CBD Crystal is extracted using supercritical CO2 extractors & advanced purification technologies, wiped film distillation & flash chromatography. We only use the purest ingredients for production. The Hemp used for Crystal extraction is organic and grown without use of chemicals. All batches are tested for chemical pesticides, insecticides and other pollutants and heavy metals. Our CBD crystal is produced in a laboratory premises that is HACCP & GMP compliant, In addition, the CBD production line is currently in the process of ISO9001 certification! Yes, Hempture CBD Oil is GUARANTEED 100% ORGANIC, its all natural, no herbicides, fungicides or chemical fertilisers have been used in the process whatsoever. The plants have been strictly grown organically under EU restrictions. 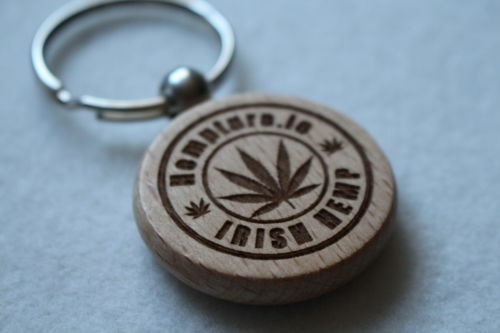 Since 2005 Hempture have operated and have invested in crops in Ireland and the EU. All the crops we use for Hempture products have been tested and are 100% organic. What’s contained in Hempture CBD oil? You will be happy to know its all Natural & Organic. 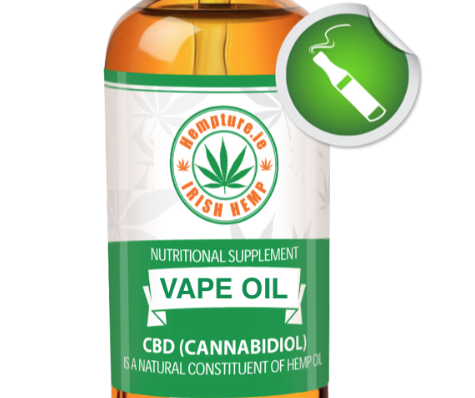 Hempture CBD oil is Irelands only true Full spectrum CBD extract. Using Organic certified hemp cultivars free from pesticides, herbicides and chemical fertilisers we are able to bing you the very best Hemp CBD in the world. Our standard 10ml Hempture Hemp oil contains 300MG of Organic CBD extract, and we are very proud to mention there are absolutely NO preservatives & NO artificial colours used, and we must mention that its Vegan, Gluten free & non-GMO! aldehydes, ketones, flavonoids, glycosides, vitamins, pigments & of course water! Our CBD isolate is produced in a laboratory premises that is HACCP & GMP compliant, In addition we are proud to say the CBD crystal production line is currently in the process of ISO9001 certification! Our strict organic production allows our CBD oil to be of the highest quality ON EARTH and that is guaranteed fact. What is the legality around CBD & Hemp? All Hempture crops are grown under strict government licence. 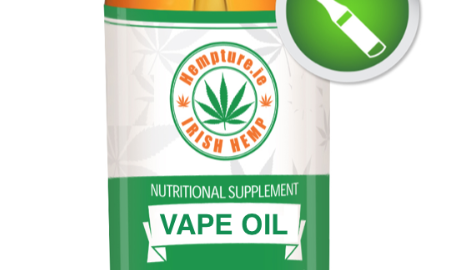 We GUARANTEE Hempture Hemp oil products are legal to consume, sell, and possess both here in Ireland and in many other EU countries. Hemp oil is a dietary ingredient that is permitted for use in or as a dietary supplement. Industrial hemp products, like our hemp oils, that have been grown in Ireland or EU imported through the proper means are exempt from marihuana and THC laws in EU Schedule. Depending on batch our CBD oil has none or less than the 0.2% THC or less to meet legal restrictions in Ireland, and the EU. What’s the percentage of cannabidiol in Hempture oils? Our products range from 1.5% to 99%. The Hemp crops are grown outdoors under different climate conditions, so there is naturally a variance in the final biochemical composition of the oil extracts. Every batch of Hempture CBD oil is sent for independent cannabinoid testing to some of the most advanced and internationally recognised laboratories in the world for HPLC analysis. Lab results can be viewed here. This however has no effect on how much pure cannabidiol (CBD) goes into each bottle of oil. So if we have a 20% extract, we’ll put twice as much of that extract in a bottle compared to if we used a 40% extract. The final amount of actual cannabidiol (CBD) in a bottle will always be the same despite the variation in percentage. What’s the ideal serving size for me, and how often should I take it? We can only recommend the standard dosage – The standard dosage details can be found on the product pages here, in addition to the packaging of the bottles of oil. A crucially important factor to be acknowledged when considering this question is that most of the studies and research being performed on CBD use an isolated form of synthetic cannabidiol. Our whole plant, hemp derived CBD oil is different, and works in conjunction with the trace amounts of CBN, CBC, THC and other cannabinoids in hemp, which apparently has a dramatically more powerful effect than an isolated, synthetic form of CBD. According to seemingly competent sources, the serving size of isolated CBD far exceeds what’s needed from a whole plant CBD extract, the latter of which we carry. Also worth mentioning is that the weight of the person may play a role in how the CBD effects the body. A 40 pound child most likely won’t need the same amount as a 250 pound man to gain a similar result. There is a lot of room for experimentation with figuring out a good serving for you or your loved one. Phtyochemical constituents from hemp (like CBD) are some of the safest in the world, and there hasn’t been seen any major side effects that we’ve ever seen or heard of. So there is a lot of wiggle room in figuring out what works best for you. What’s necessary and what works may vary greatly from person to person. One last note on this topic that is absolutely worth sharing is that your body will build up a storage of cannabidiol in the body, which is unlike most chemicals. So unlike alcohol, which is usually absent from the blood stream and body within 24-48 hours after ingestion, cannabidiol can stay bound to the cells of the body for weeks. This is important to know because after a few weeks of using CBD oil a lesser amount may be required to gain effects similar to the original servings. So, the first few weeks are a prime time to have a high serving size, and you can incrementally lower the serving size over time while still having potentially equivalent results because of your body’s storage of CBD. We recommend the standard dosage – The standard dosage details can be found on the product pages here, in addition to the packaging of the bottles of oil. What is the safety of cannabidiol and your Hemp CBD oil? Are there negative side effects? Cannabidiol (CBD), and other phytochemical constituents of cannabis are considered to be generally safe. In hemp’s thousands of years of use there has not been one recorded fatality or major illness contributed to it’s use that we know of. In high servings some people can experience a slight sedative effect. In very high servings (upwards of 200mg of CBD per serving) some people experience what’s being labeled as Dysphoria, an unpleasant emotional state. This is incredibly rare though, and has only been mentioned when using abnormally high amounts of CBD. Do I need to move to Ireland to get CBD oil? Where do you ship your CBD oil? Hempture CBD is formulated from Hemp that is grown under strict licence from the relevant government department. Many people are under the impression that the only way to acquire cannabidiol oil for themselves or a loved one is to move to certain countries and get on the waiting lists for CBD from dispensaries and such. Many big news outlets are misinformed and are unfortunately spreading this idea, that you can only get CBD in the countries where medical marijuana has been legalised. We accept payment by VISA, Mastercard, Bank Transfer, and Bitcoin. Please note: Some payment method may be disabled at various times for website upgrades and maintenance procedures. Once you go through checkout you will be given the current payment options available. Can Hemp CBD oil get me high? In exploring whether cbd oil gets you high, we need to make a huge determination here. CBD is one compound of cannabis. Cannabis can be either marijuana or hemp. Either plant can have varying degrees of THC, but hemp, unless its a specialty strain, has such a low quantity of THC, that no one I’ve ever met can tell that any THC is present when ingesting, smoking or vaping any hemp product. This is key – An oil with CBD in it, by itself cannot get you high. Cannabidiol, or CBD for short, is merely one of the cannabinoids found in marijuana and hemp. Some others are CBC, CBG, THC, THCA and there are others. And, CBD is not what gets someone ‘high’. THC is the pyschotropic compound in cannabis plants that causes a ‘high’ or an euphoric effect. So, the real answer to “Does CBD Oil Get You High?” is, it depends on whether there is any noticeable amount of THC in the oil. To be more clear, at Hempture, we ONLY provide CBD products that have CBD extracted from hemp. And, the hemp that is used in all the products we carry has just a trace of THC, not enough to cause any ‘high’. So, using any of these products will not cause one to get high. Conversely, one can get CBD Oil that is extracted from marijuana that will most likely have a higher level of THC. And, unless the CBD Oil is from a specialty strain, the level of THC is most likely going to be high enough to cause someone to get ‘high’, assuming enough is used. Even the very popular Charlotte’s Web strain of marijuana, which is known to be very high in CBD, relative to other strains of marijuana, has more CBD than your average hemp strain. CBD is a cannabinoid, but it differs from THC. THC is the cannabinoid that gives its users the ‘high’, and it’s this cannabinoid that is targeted in drug tests. These tests look for the metabolic products of THC and begin with a simple urine test sample. The test uses antibodies to detect THC and the metabolite it produces, known by the rather complicated name of ‘11-nor-delta9-caboxy-THC (THC-COOH)’. If initial tests find that you have more than 50 Nano grams (ng) of these substances in your urine, a Gas Chromatography / Mass Spectrometry (GC/MS) test is carried out to confirm the result. This test targets the 11-nor-THCCOOH metabolite and aren’t sensitive to other cannabinoids including CBD. There is no such thing as a CBD drug test because CBD is not a drug. Trace amounts of THC in CBD oil. If you’re using the best CBD oil, it will contain only tiny amounts of THC and you’d have to use more than 1000-2000 mg of the oil every day in order to test positive in initial screening tests. When this happens and the second test is run, the results of the first test will likely turn up as a ‘false positive’. Remember, the initial test isn’t all that sensitive or accurate, and that’s why the second test is run if the first one picks up a positive result. Bear in mind that the THC concentrations in hemp oil are nowhere near enough to have any effect on you: hemp plants generally contain only a tenth to one three-hundredth of the THC that marijuana plants contain. An extremely high level of consumption of more than 2000mg daily would thus deliver between 3 and 6 mg of THC and this may cause false positive initial tests in 11 to 23 percent of cases. Most people use a lot less than that and would only consume a maximum of 0.5mg of THC along with their CBD in that case, there is a lower than 0.2 % chance of a positive preliminary screening result. This is perfectly logical since a good CBD oil contains 400 to 600 times less THC than cannabis. It’s extremely important to use a CBD source that tests the effective cannabinoids presence in the Hemp Oil. 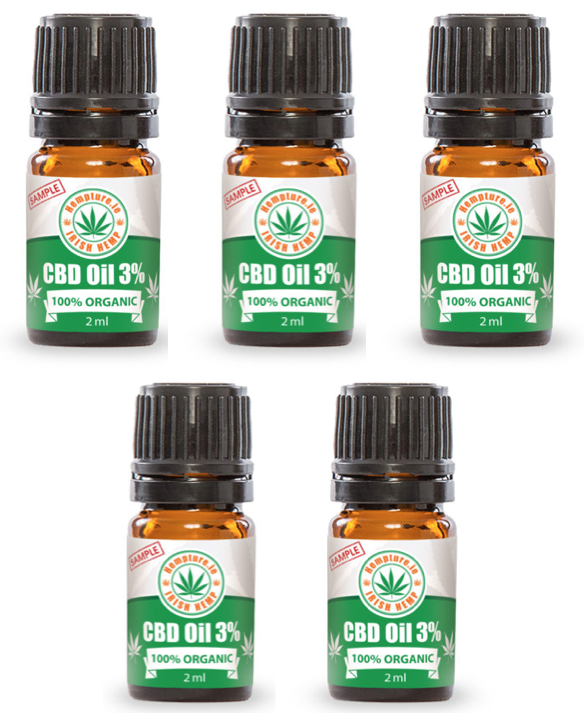 Our CBD Oil is all natural, no herbicides, fungicides or chemical fertilisers have been used in the process whatsoever. The plants have been strictly grown organically under EU restrictions. We are a small highly specialised company based in Dublin, Ireland. Our mission is to bring high grade organic CBD oil and Hemp products to Ireland and the world.